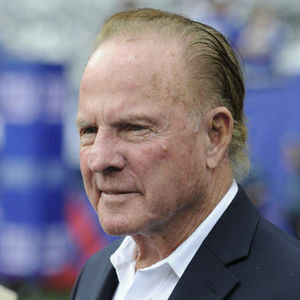 NFL Hall of Famer and veteran sports broadcaster Frank Gifford has died in Connecticut, his family announced on Sunday, according to NBC News and other sources. He was 84. NEW YORK (AP) — Frank Gifford, the Pro Football Hall of Famer who led the New York Giants to the 1956 NFL title and later teamed with Howard Cosell and Don Meredith in the "Monday Night Football" booth, died Sunday. He was 84. "JOHN 3:16. GOD BLESS. David Smith"
"To Kathy and both families-Very sorry for your loss!"